The day Enzo Chevalier lost his hearing, everything changed. Forced to rebuild his future and fight for his dreams, Enzo refused to let anything take him down... until the man of his life walked out on him and shattered his heart. Florian Beaudry had his whole life figured out. His business was flourishing and everything was settling down at last. Or so he believed... until he walked in on his girlfriend and best friend. I stared at Enzo, unsure what to do or how to react. I hadn't seen him in such a long time. When I smiled at him, the deep scar on his left cheek carved into his skin as he replied with a grin of his own, along with a shy wave. I gaped like a moron. He was even more breathtaking than he used to be, taller and stronger too. My eyes caught on the gorgeous male with his arm around Enzo's shoulders. Something inside me sank. I could either be a coward and ignore Enzo, or I could be the bigger person and ask him to join me for a drink—even if that meant watching him flirt with that hot guy all evening. Enzo was staring back at me without moving, so I took that as my cue to beckon him forward. The man next to him raised a questioning eyebrow, but Enzo signed at him, explaining I was someone he used to know in high school. The guy crinkled his forehead and glared at me with eyes so green, I couldn't help but stare. Even their hypnotizing tint wouldn't soften the warning in his glower. Enzo chuckled at the guy's reaction and grabbed his hand, leading him toward me. I had also forgotten how beautiful he was when he laughed. Even in my fondest memories, he had never looked as good as he did now. The scar on his face only heightened his splendor, especially since I knew what it represented. I tried hard not to gawk, but it felt so good to see him again and get confirmation he was well. "Florian, is that it?" he asked with a hint of hostility. I held out my hand to shake his, but he snubbed me, leaning forward instead, blocking Enzo's view. "I don't remember Enzo telling me about any friends in high school. If anything, I only remember him talking about his bullies." I clenched my teeth at the threat under his tone. "I'm not going to hurt him if that's what you're implying." This was a lovely surprise. It’s a second-chance romance about two high school lovers who meet again as adults. I fell in love with both Florian and Enzo immediately and I was quickly caught up in their world. Enzo is a fascinating character. A proud member of the Deaf community, he is a successful teacher and a passionate man whose confidence has been knocked by his ex-boyfriend. I love the combination of strength and vulnerability. Florian is a struggling businessman whose confidence has been destroyed by his ex-girlfriend. I love the way these two wrestle with life’s big ideas. There is something beautiful about Enzo and Florian’s teenage relationship and I think the story is at its best when the men reflect on the past. The connection between these two as adults is also special and I love the way they reconnect with each other. I loved the French setting. There is just enough French scattered through the story to infuse it with a wonderful Gaelic charm without thoroughly confusing English-speaking readers. I enjoyed this story but I do have some reservations about this book that lie with the actual writing. There are some beautiful passages (the flashbacks to Enzo and Florian’s teenage relationship are wonderful) but also some choppy, awkward conversations that don’t flow easily. I don’t feel like the supporting characters are very consistent – for example, Florian’s ex made my head spin and her actions are a little bit too over the top to be believable. There are a few plot threads that ramble without direction and the overall story arc gets a little bit lost at times. I am on the fence about this book. I was going to give it three stars but decided on four. I didn't hate it, but I didn't love it either. I loved Enzo and Florian. I loved their relationship before and after the accident. You could tell they really loved each other and always had. I found myself at times putting the book down because it wasn't moving fast enough for me. Also, there were so many hateful things happening and hateful comments made to Enzo and Florian I just couldn't take reading too much at one time. I am sure this book is a reality for gay and bi people and that just makes me so mad, how people can be so mean and hurtful. Love is love, everyone deserves to be happy. Rewind is Rowan Shaw's debut novel, which captured me with the blurb from the start. I was looking for something unique in a sea of sameness. A deaf character intrigued me, wanting to see how the author wrote him. The locale was a nice change of scenery, especially the French peppered in, without it coming off as confusing for those who don't speak the language. I'm also a sucker for second-chance romance, so I forgave myself for taking a break from working to read this novel. The overall emotion for the novel left me feeling sad for some reason. Somber. While it wasn't a difficult read, or overly emotional, there was some mildly dark content (hate-driven speech and events), so I wouldn't call it light and fluffy either. I add this, simply because mood matters when reading a novel – choosing a book to fit the mood, so to speak. Enzo and Florian both come off as angsty and brooding to me, with good reason, so the balance wasn't there that I generally enjoy. The past connected them, but in the present, it's similar situations that place them in each other's paths. To me, it was as if they never would have been together had others not betrayed their trust, which made it hard for me to buy into the present relationship. Where the novel shined for me was in the past, back when Enzo and Florian were teenagers. While I appreciated what was occurring in the present, the past intrigued me more. Maybe it's my great love of the young adult genre, but I felt the past was written better than the present. Tighter, more emotion. Had the book only taken place in the present, I wouldn't have been able to buy into their relationship. I did have a difficult time with the point-of-view switching up between the two characters, both in first-person, especially when combined with going back and forth from present to past. This offered some confusion for me, where it took a bit to distinguish who and when. Another issue for me was the pacing, story flow, sometimes slowing to a crawl. Recommended to fans of MM romance, especially those who would like to try a new author and experience something unique. However, I caution due to the novel negativity impacting my mood by the content. I wasn't necessarily triggered, but some may be. 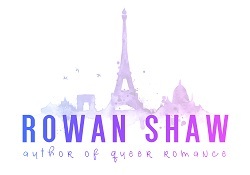 Rowan Shaw is a human being from Planet Earth (originally from the country of France). 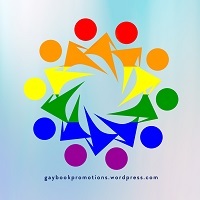 She's also the queer author of Rewind, an MM romance series set entirely in her home country. 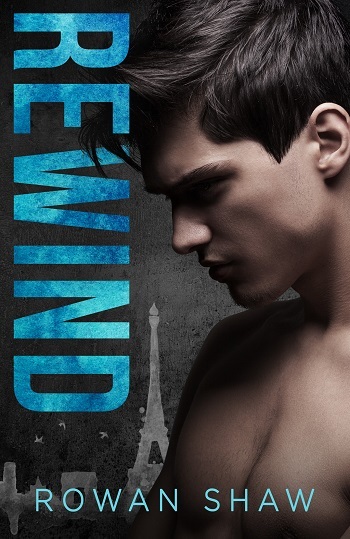 Reviewers on the Wicked Reads Review Team were provided a free copy of Rewind by Rowan Shaw to read and review for this tour.